I am actually posting the One Layer Wednesday challenge the same day as it was revealed! This week’s challenge is to make a one-layer musical themed card. Anything to do with music. 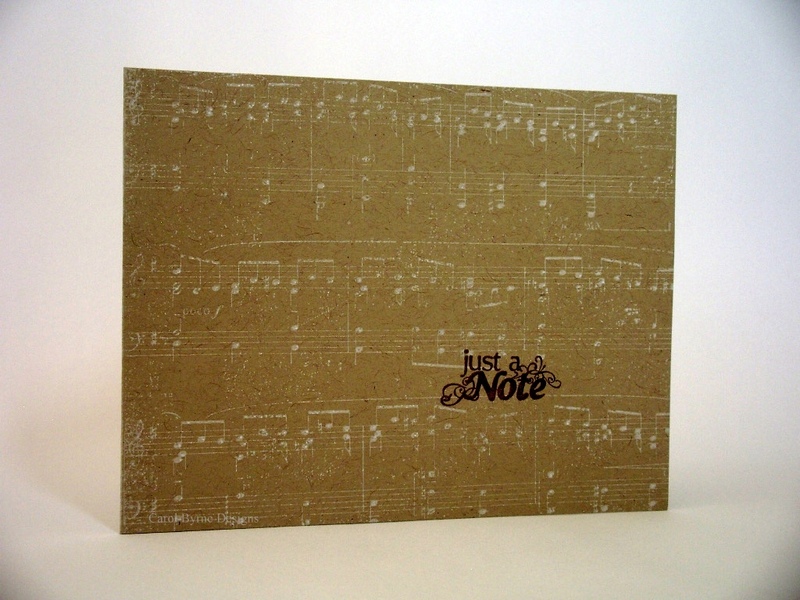 Sheet music, musical instruments, an image of someone singing; anything that in some way relates to music. 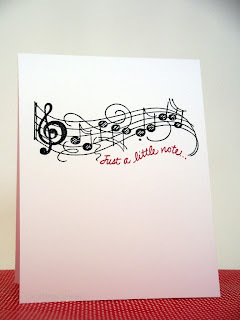 The first three all use a music stamp from Stampendous. 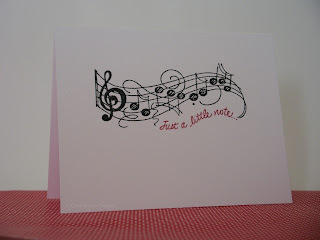 The first two use a sentiment also from Stampendous. The first two are basically the same except that one is horizontal, one is vertical. I couldn't decide which to do so i did both. 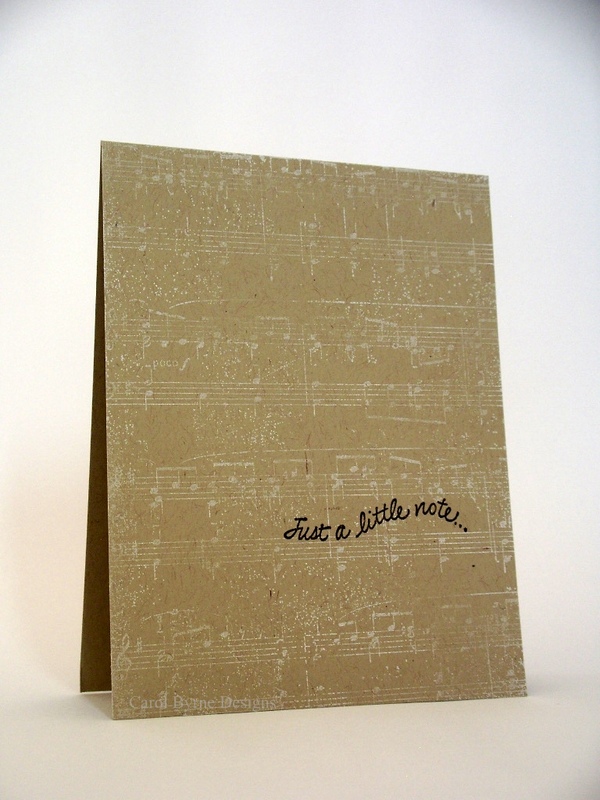 The third uses a sentiment from a G Studio $1 set. The next two incorporate the musical Scrapblock by Cornish Heritage Farms. LOVE this stamp. Used the same sentiments as above. I've got another really fun stamp I need to use for this challenge. Will try to do it over the weekend. Wow, Carol, you really went to town on these! Great job! Carol, you are jamming. I like the horizontal on best on the first 3 and the vertical one from the last 2. Woo! 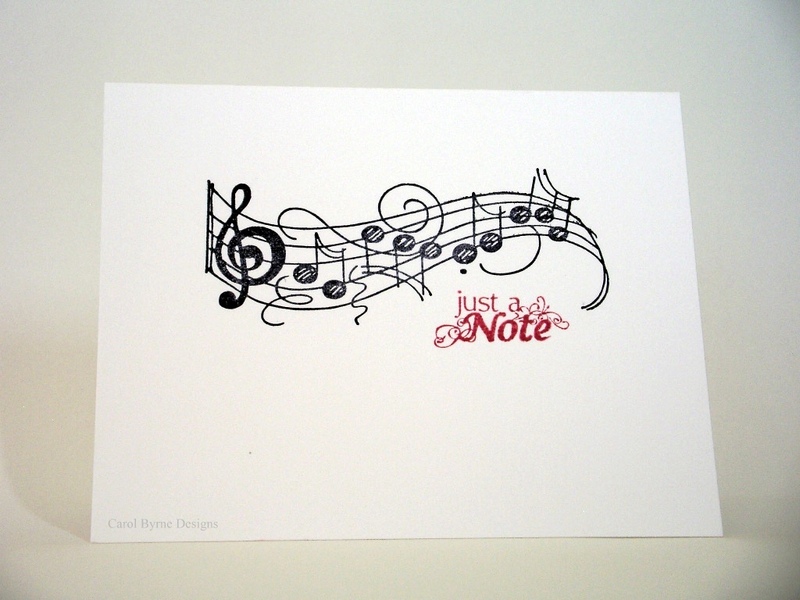 You had the music in you! You totally went to town on this one! Fab job on the challenge and thanks for playing along with OLW42! love all the cards, love the play on words. Girl, you've been busy! Looks like this challenge was "music to your ears!" LOL! I love them all. 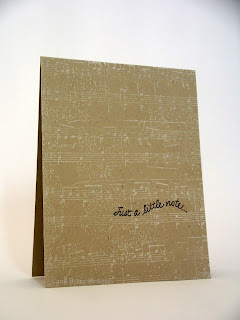 Now I guess I need to do a little shopping...I can definitely see me using the just a little note stamp. Awesome work, Carol! Way to go Carol! You were really fast this week. I liked all of your cards. I think my favorite is the first one. Of course you know I always like your cards.You are so talented. Holy Cats! I must have been channeling you when I made my card lol Sorry, gf. I swear I didn't see your card until I was ready to post mine. 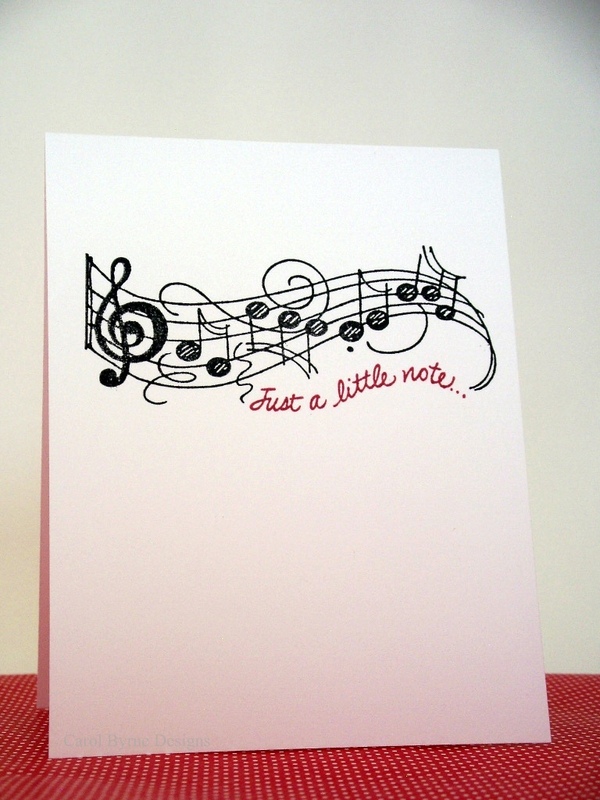 It's just a wonder we didn't have the same sentiment too since I know you have the Savvy one I used on my card. Great job on all the cards! Wow - obviously right up your street!! I love these cards. I think the first three are my favourites. Brilliant! Nice cards. Like the top ones best - very clean & simple. I'm in total agreement with Suze Bain above! 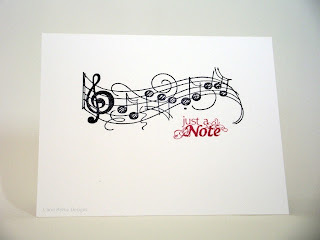 The wavy music stamp is lovely and you have featured it beautifully, by keeping it clean and simple. Beautiful card. I love the crisp black and white of the music, and the red sentiment goes along perfectly. I love the top three cards - so elegant in black and white with the flash of red!